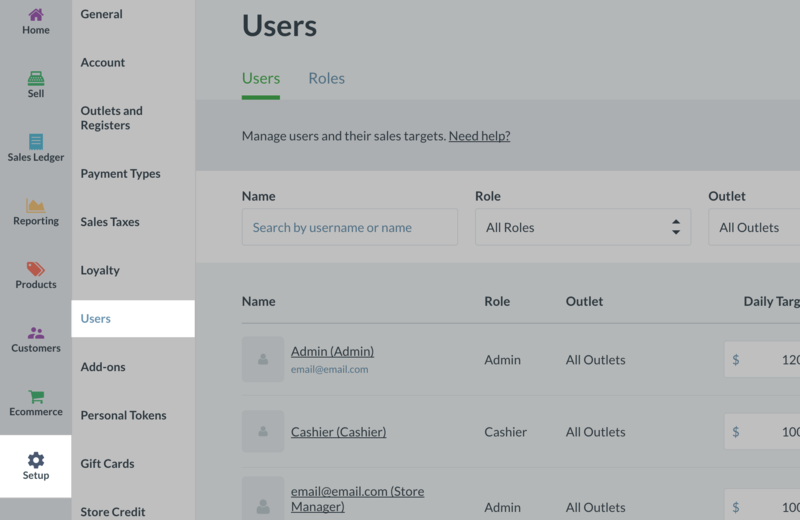 Disabling Users in Vend – How can we help? If you have users in your Vend store who are not actively using Vend, you may want to disable their user profiles. When you disable a user in Vend, you are signing the user out if they are currently logged in to Vend and then preventing any subsequent sign-in attempts to Vend. The personal data of the user is retained, and you will be able to enable the user again at any time. 1. Navigate to Setup -> Users in the sidebar. Once here, you should see a list of all your active users in Vend. 2. Find the user you would like to disable and use the toggle button on the right-hand side to switch them from enabled to disabled. For more information on how to manage your User profiles, check out our help articles here.